The interior of a home can be effected when ice builds up which may lead to a leak. 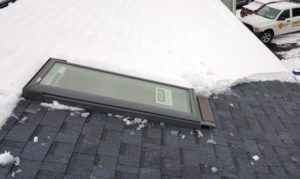 When trying to take care of your roof on your own, it can be dangerous when attempted without the proper tools and techniques. Hiring a professional to take care of your roof is the best option. Professionals do the job without damaging the roof or hurting themselves while doing maintenance on the roof. Make sure to get a hold of Sunset that has experience and the proper tools to get the job done. We can assure that your roof is cleaned and taken care of in the most efficient and proper way. Leaving your roof ice and snow free. Take care of your roof with professional help from Sunset!